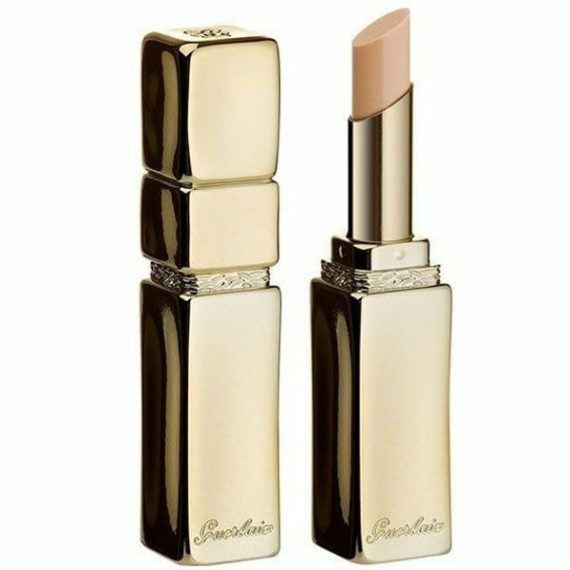 Guerlain KissKiss Liplift Smoothing lipstick primer. The indispensable accompaniment to lipstick, this first smoothing base in stick form that unifies, smoothes and shapes the lips leaving them perfectly prepared for lasting lipstick hold. Its rich supple texture delicately coats the lips. Instantly transforming the lips, KissKiss Liplift comes in a slender gilt metal-coloured version of the legendary KissKiss packaging designed by Herve Van der Straeten. 1 universal shade. I have been using this for years and would totally recommend it. I use before liner and lippie – stops bleeding and really does make your lipstick last twice as long. It also lasts ages, I probably buy 1 a year and use almost every day. Everyone needs one of these in their make up bag! A friend told me about lip lift a couple of years ago and I know where everyday all year long. It keeps my lips plumped, moisurised and crack free and a brilliant base for my lippie so it lasts much longer. You wont be disappointed. Super service & super quick delivery. I’ll be using Scentstore again!